The Fave Long Sleeve t-shirt from Moonchild Yoga Wear is the perfect loungewear piece. From the new Moonchild Collection - Yoga Loungewear is made from the finest micro modal material, which allows you to breathe and move freely. Special developed yarn so super soft and comfortable against your skin. The perfect yoga loungewear from Moonchild. 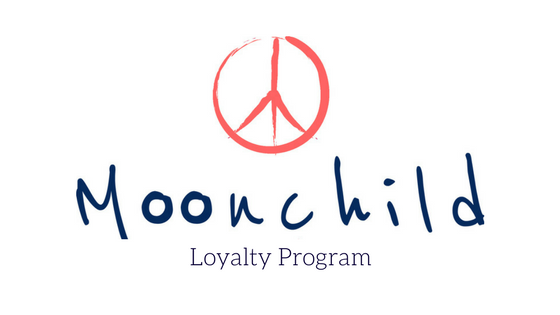 Moonchild Yoga Wear is a Danish eco-conscious activewear brand. Build on a dream to bring you top quality yoga and activewear which is unique and environmental friendly. Each style tells it's own story and is designed with passion for yoga, fitness and fashion. Moonchild Leggings in the Citadel floral print with energetic stripes. These stunning yoga leggings from Moonchild features a deep Citadel color with contrasting stripes and white anemone flowers on the sides symbolising energy and sincerity. Enjoy total freedom and comfort through every stretch and movement. Premium Italian fabrics are sewn with balanced center seams to create our full-length, mid-rise leggings. The thin, second-skin fabric is exceptionally breathable and quick-drying, so it’s perfect for meditative practices, Pilates, and even intensive hot yoga. Our fabric for Moonchild's printed leggings is extremely comfortable, fits the body like a second skin, is absolutely non see-through and ensures maximum freedom of movement.